AMES, Iowa — A landmark sculpture designed by an Iowa State University faculty member will soon rise from the Iowa prairie whose history it celebrates. Reinaldo Correa, a lecturer in architecture, won a competition sponsored by the Marion Arts Council to create a focal entry point to the city’s 188-acre Lowe Park. Correa’s “Prairie Revival” — the latest artwork commissioned for the Lowe Park Sculpture Trail — consists of a 14-foot-high “levitated steel spiral that grows out of the landscape” and a spiral arch that serves as a central focal point, adorned with 20-foot-high plasma-cut cattails. 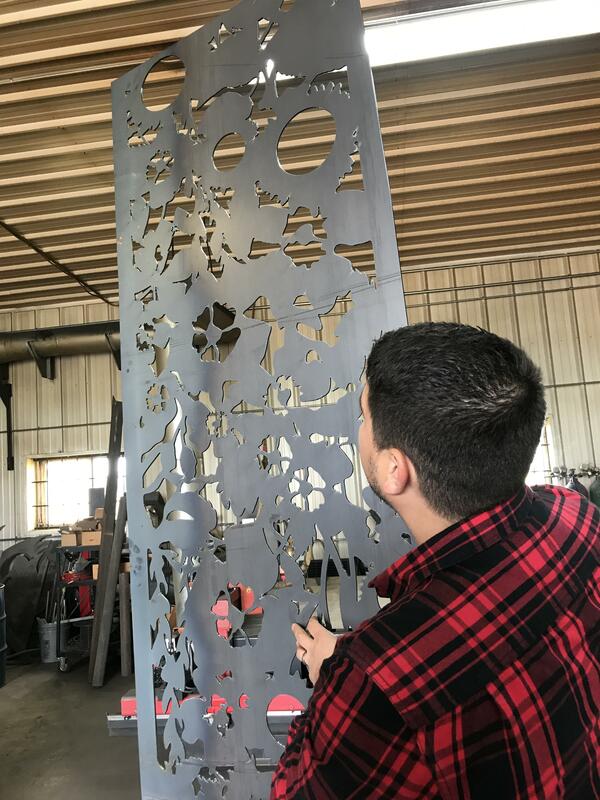 While most of the spiraling steel is solid, one section features plasma-cut panels of native prairie plants and wildlife. The spirals and panels are coated in a palette of gold and green high-performance paint, while the cattails are coated with a reflective white paint that mirrors the environment. The sculpture will rest on a two-foot-tall mound of earth, further elevating the installation as a gateway to the park. “Prairie Revival” will be installed in early August and dedicated at a ribbon-cutting ceremony during the annual Picnic on the Prairie outdoor music concert Saturday, Aug. 19, at Lowe Park, 4500 10th Street, Marion. 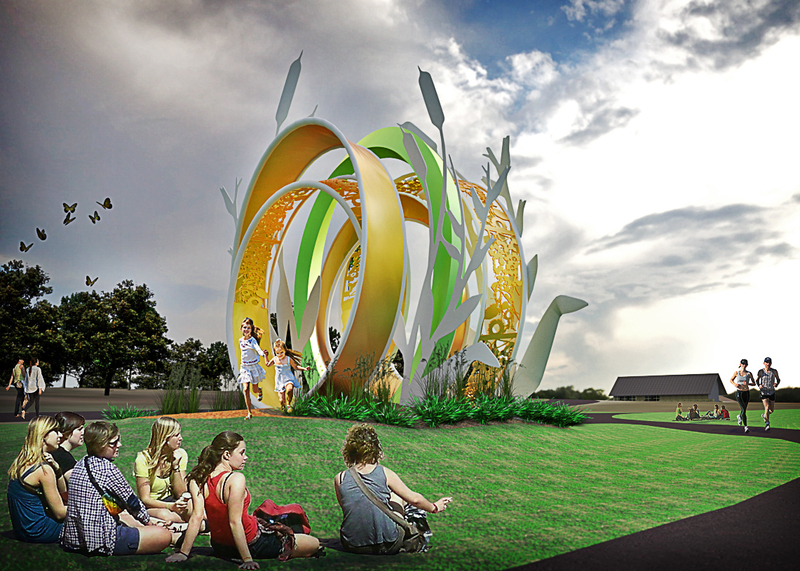 Correa — who as an artist with RDG Dahlquist Art Studio in Des Moines from 2010 to 2015 was part of the team that worked on the Klopfenstein Amphitheater for the Performing Arts at Lowe Park — said he was excited at the opportunity to contribute a signature public artwork for the park. “The amphitheater project looked at the revitalization of the oak savanna in Iowa and the character of the Bur Oak tree. With this new opportunity, I wanted to look more in depth at the properties and cycle of the prairie,” Correa said. The designs cut into the spiral panels of “Prairie Revival” represent common prairie fauna and flora including the American Goldfinch, Goatweed Leafwing butterfly, Big Bluestem, Sky Blue Aster and Prairie Indian Plantain. The patterns will create shadows in daylight and will be particularly striking when uplit by LED spotlights at night, Correa said. “These elements come together to create a spatial experience that allows the public to interact and engage with the public art,” he said. Correa first drew sketches and developed a series of physical models that helped him understand the complexity of the structure of the artwork. “It’s a double spiral, a 3D object, but you have to convert it into a flat piece of metal and understand how to fabricate this,” he said. 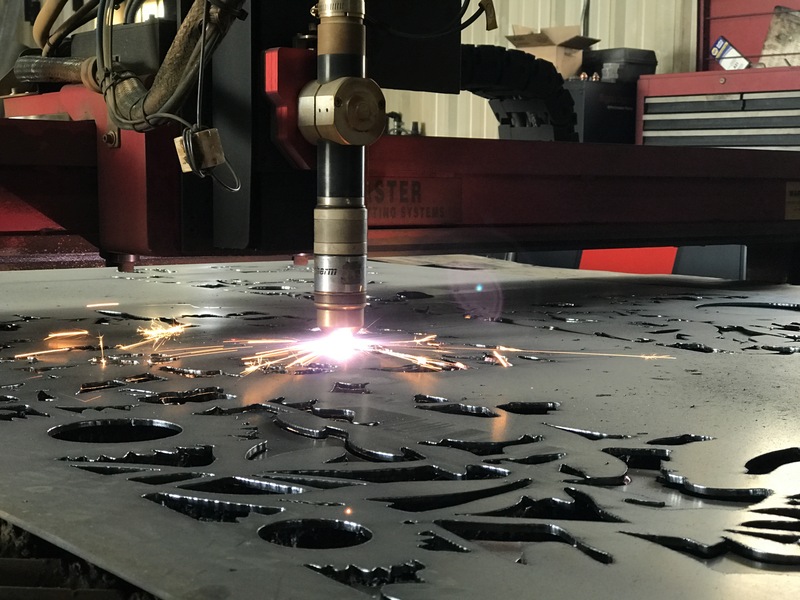 He used mathematical algorithms and three-dimensional modeling software to refine the design and worked with a local metal fabricator to produce, assemble and install the sculpture. Originally from Puerto Rico, Correa lived in New York City and Chicago prior to moving with his family to Iowa. He received a Bachelor of Architecture with a minor in digital media from Iowa State in 2008 and returned to teach in the Department of Architecture in 2015. “There is something about Iowa, the way people embrace you and the beauty of this place. Lowe Park is really trying to restore the landscape and instill an appreciation for art and the environment. To be able to create a piece of artwork here is an honor,” he said.